Is “easy to read” a good thing? First of all, let me say that I have no quarrel with anyone who reviews my books. I love that a) you read my work and b) you took the time to review it. Having said that, there’s one phrase in a review that I don’t know how to feel about: Easy to Read. Now, don’t get me wrong–I know these readers are complimenting the book. So why does the phrase rub me the wrong way? Is it that I equate Easy to Read with this? Does easy mean “a 5 year old could do it?” I guarantee you a 5 year old shouldn’t read my books. I’d be iffy about letting a 15 year old read them. I was recently talking to a friend of mine about this. 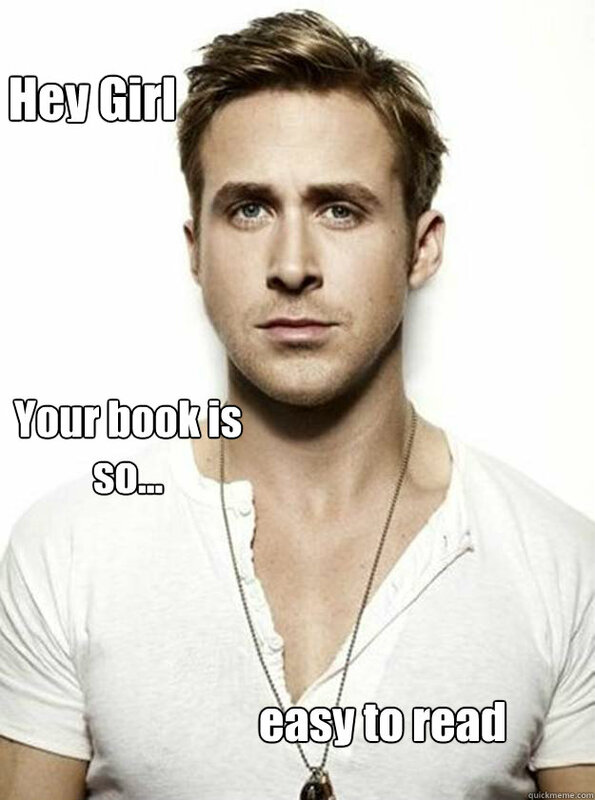 He asked me, “Do you think they’re implying that the book was easy to write?” Well, maybe. Perhaps people assume that I can toss a book together in a few hours–a light and fluffy confection of no consequence. And what if I had? Would that be terrible? My friend went on, “No one is going to mistake your Lexy Cooper books for serious literature. That may not be fair, but it’s the way it is.” That stung, initially, but he’s right. It’s not serious literature. It’s not meant to be. Kids won’t be reading my books in AP English fifty years from now. My books are not designed to be dense and philosophical or to show off my vocabulary. I don’t like to read books like that, so why would I write one? I think easy to read is that everything flows smoothly. You don’t have to stop every few pages and try to figure out what the author is saying or even look up words because in context they don’t make sense. You enjoy it and can relax while reading. Like I said, I think the way people intend it is good. My perception of it is what’s nutty. For me? It means your narrative is similar enough to my inner voice, close enough in cadence and cultural structure that I get to absorb the story without stumbling all over the writing. Some books are very difficult to read because the cultural, gender, or knowledge gap is so wide that a lot of brain work can be needed just to construct the world that contains the story. Some people find The Song of Ice and Fire books a laborious read because sometimes one damn near needs to keep a pen and paper handy to diagram the characters to their families and houses and where those overlap, not to mention the fictional languages, rules, codes of conduct, and so on and so on. I know I can sit down with one of your books and devour it in a weekend and I LOVE that.